Patchtax is dedicated to redefining the parameters of new music. The duo, comprised of saxophonist Mary Joy Patchett and violist Eve Boltax, was founded in 2013. At its core, patchtax is a chamber music ensemble with a non-traditional instrumentation exploring unconventional performance practices. Patchtax’s repertoire includes a broad range of original arrangements of early to modern classical pieces to contemporary works including new commissions. Working within a discipline that has deeply embedded traditions, patchtax creates unique worlds on stage, addressing the need within the classical music community to seek new ways of relating to 21st century audiences. Their most recent program, ‘Shebang,’ was a multidisciplinary performance of new works featuring live electronics, fixed media, video, dance, and performance art. It was created during 2017 with the support of the Live Arts Boston grant from the Boston Foundation. In early 2017, patchtax launched a call for submissions that targeted non-cisgendered white men composers and received over 100 applications. This mission to stimulate broader participation from those marginalized in the field is not just a matter of social ethics; proactive inclusion of diverse identities, thoughts, aesthetics and musical activities is vital to the dynamism, relevance and long-term health of the field of contemporary music. Patchtax currently serves as musicians-in-residence with the MANNA community of the Cathedral of St. Paul’s Episcopal where they have started a choir program for homeless men and women of downtown Boston. This program is funded by the Creative City grant from the New England Foundation of the Arts. Patchtax’s first commissioning project was in the fall of 2013, where a short set of duos by 5 different composers were written to be performed with a food pairing. During the Spring of 2014, patchtax created the piece “Love” with composer David Dominique that began and ended with the staging of a ritualistic and surreal dining room scene. In January of 2015, patchtax spent a month in residency at the Brush Creek Foundation for the Arts in Saratoga, Wyoming. During summer 2015, patchtax crowdfunded a northeast tour and recording project that culminated in the release of their first album at the beginning of 2016. Patchtax toured with dancer Elizabeth Epsen and composer/sound engineer Kevin Laba. Performances were held in Montpelier, Burlington, Montreal and Quebec City and experiences were documented through the creation of music videos. In December 2015, patchtax organized a performance at MakeShift Boston that was a celebration of the touring and recording project. Here, patchtax collaborated with public artist Daniel Sternof Beyer (New American Public Art), and dancer Elizabeth Epsen, in a performance that experimented with the theatrics of live concert performance, interpretations of patchtax’s music videos, the embodiment of musicians, and the shared physical space of musicians, dancer, and audience. During 2016, patchtax: released their debut album; spent the month of February 2016 in residency at the Banff Centre for the Arts where they continued their exploration of theatricality in music performance; gave a sold-out performance at Mobius featuring projected video and a collaboration with dancer Elizabeth Epsen; were in residence at the Avaloch Farm Music Institute with composer Michael Miller; and embarked on a West Coast performance tour of San Francisco, Seattle, and Vancouver during November 2016. To read an article about patchtax’s performance in Montpelier, VT, click here. 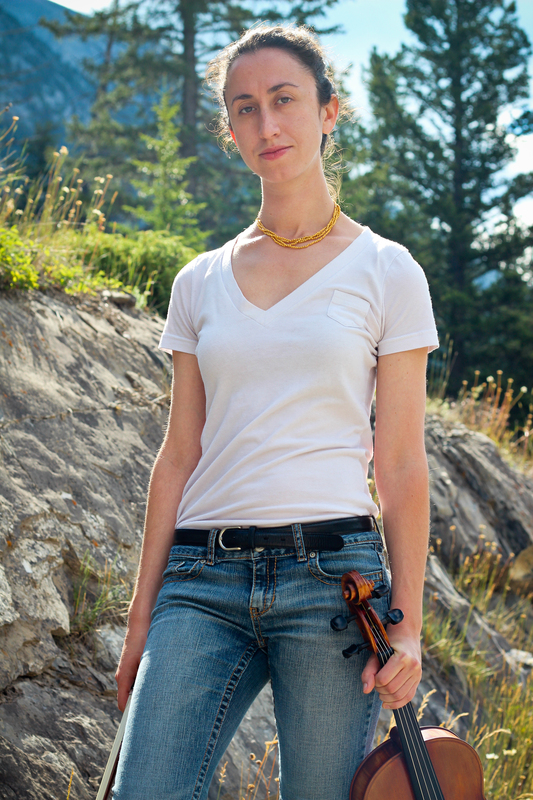 Violist Eve Boltax is an active performer, teacher, and teaching artist in the northeast. She is one half of the saxophone and viola duo, Patchtax, who in 2017 has received grants from the New England Foundation of the Arts and the Boston Foundation. Eve performs with many regional orchestras including the Vermont Symphony Orchestra, Portland Symphony, and New Bedford Symphony. As a performer of new music she has worked with the Callithumpian Ensemble, the Boston Modern Orchestra Project, and the Equilibrium Ensemble. She has completed residencies at the Banff Centre for the Arts, Avaloch Farm Music Institute, and Brush Creek Foundation for the Arts and has performed in masterclasses for Kim Kashkashian, Carol Rodland, Georg Frederich Haas, the Borremeo Quartet, and the Chiara Quartet. Saxophonist Mary Joy Patchett is an avid supporter and performer of new music. Mary Joy is a founding member of the viola and saxophone duo, patchtax, which has been actively performing in Boston and New York since 2013. The duo often collaborates with other artists, most recently combining their efforts with a dancer and lighting designer. Patchtax recently completed their first album, which is the result of a fully crowdfunded tour and recording project that took them to Vermont, Montreal and Quebec City over the summer of 2015. This past season, Mary Joy has performed with the EQ Ensemble, Sound Icon, Tanglewood Music Center, Chagall Performing Arts Collective, among others. She recently recorded a chamber opera by Beth Wiemann and premiered a baritone saxophone version of a solo work by William Kenlon. Mary Joy was in residence at the Banff Centre for the Arts in Alberta, Canada in February 2016. Past projects have included appearances with/at the New York City Electronic Music Festival, Boston Microtonal Society, Washington Square Contemporary Music Society in New York, and the East Coast Contemporary Ensemble. Mary Joy has performed as a soloist in New England Conservatory’s Jordan Hall with the NEC Contemporary Ensemble. As an ensemble member, she performed with the Paris Conservatory’s Saxophone Ensemble and has toured the Midwest with the Eastman Wind Ensemble. Mary Joy toured Holland with the Thump Quartet, an all-female saxophone quartet in 2007. As a member of the East Coast Contemporary Ensemble, Ms. Patchett has premiered several solo and ensemble works at the annual Etchings Festival in Auvillar, France, as well as the 2012 La Pietra Forum in Florence, Italy. She was an artist in residence at Brush Creek Foundation for the Arts in Saratoga, Wyoming in January of 2015. Ms. Patchett has played in masterclasses with renowned saxophonists including Jean-Marie Londeix, Jean-Michel Goury and the members of the Rascher Saxophone Quartet. She received a Bachelor of Music degree from New England Conservatory studying with Ken Radnofsky, and a Master of Music degree from Eastman School of Music studying with Chien-Kwan Lin. Mary Joy has studied natural movement, massage therapy, eastern medicine, with a special passion for injury prevention with musicians. She is currently studying to become a Restorative Exercise Specialist and is a certified MovNat trainer. Mary Joy lives in Boston and teaches saxophone at the Wellesley Public Schools.